Denise, I am just floored by every photo- thank you for capturing our love and excitement! We really loved working with you and felt your kind spirit. When I saw the link in my email, I got so excited! You didn't disappoint. You are so made to work in this medium! I love every single shot and you captured so much of us. I can't wait to work with you again! I'm already raving to everyone about how in love with them I am! Denise captured some of our favorite photos of ourselves ever. Communication between us was seamless and our meeting to plan the session definitely added to the value of the experience. During the shoot, she told us to act natural and do what felt right at the moment and what came out were pictures that we will share with family and friends for years. I’d recommend Denise to anyone wanting a positive professional experience, open communication, and someone that truly cares about her craft. Thanks again Denise! 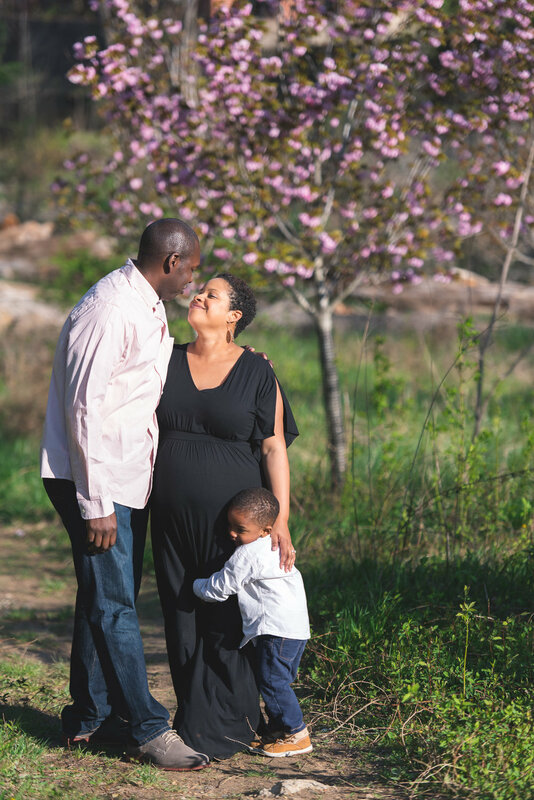 We loved our maternity photo experience with Denise Van Photography! Neither of us had been involved in a photo shoot before, and Denise did a great job making us feel comfortable and natural. We had a great time on the day of the shoot, and we're excited to have access to the finished gallery within a few days! Looking forward to framing several of our favorite pictures. Would definitely recommend Denise Van Photography! Denise Van Photography is amazing! We had Denise take our maternity and holiday photos. The entire experience was flawless and easy. We liked our maternity photos so much, we hung a big picture on our family room wall. And, we continue to get compliments from our holiday photos. Denise has a unique ability to make everyone, including our 9 month son, comfortable during the photo sessions. I highly recommend Denise Van Photography!